I am very saddened to hear of the passing away of President George HW Bush, the elder Bush and wish to convey to you and through you my deepest sympathy and heartfelt condolences to President George W.Bush and the entire Bush family and to all the American people for this great loss. 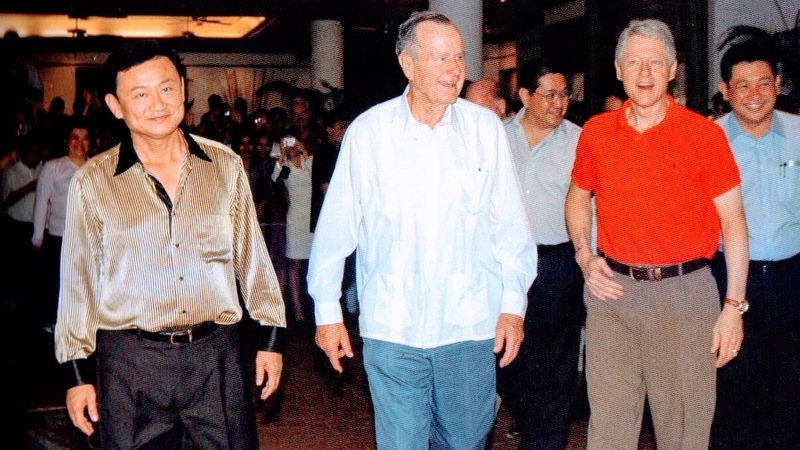 The first thing that came to my mind when hearing about this sad news was a picture of the two former Presidents, Bill Clinton and the elder Bush walking under sear heat visiting victims of the horrific Tsunami which struck Thailand in 2004. As the Prime Minister then I remember noticing his face filled with great concern and sympathy yet brimmed with exemplary warmth and kindness. Before then I had the opportunity to meet and get acquainted with him a few times when he visited Thailand after his great service to his country. I was so struck by his kindness and his great leadership. I fondly remember when he mentioned to me privately during a dinner at my residence that he would one day see me together with his son, George W.Bush, working together as leaders of our two countries. Our families remain very close and I made several visits to his family home until lately. For us he will be remembered as a true American hero and an extraordinary world leader as long as we live.